MOSCOW, March 22. /TASS/. The production of heavy Angara-A5 carrier rockets should reach at least eight launchers from 2023, Head of Russia’s State Space Corporation Roscosmos Dmitry Rogozin said in an interview with Rossiya-24 TV Channel on Friday. "We are launching the production process in Omsk and the experimental factory in Moscow in order to start the serial production of at least eight such heavy rockets a year in 2023," the Roscosmos chief said, adding that the launches would be carried out from the Vostochny Cosmodrome in the Russian Far East. 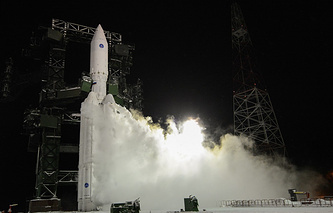 Roscosmos is currently making active preparations for the start of the Angara’s trials, Rogozin said. "At the end of this year, we will repeat the trials of the heavy Angara-A5 rocket," the head of the Russian space agency said. The Angara is a family of next-generation Russian space rockets. It consists of light, medium and heavy carry rockets with a lifting capacity of up to 37.5 tonnes. 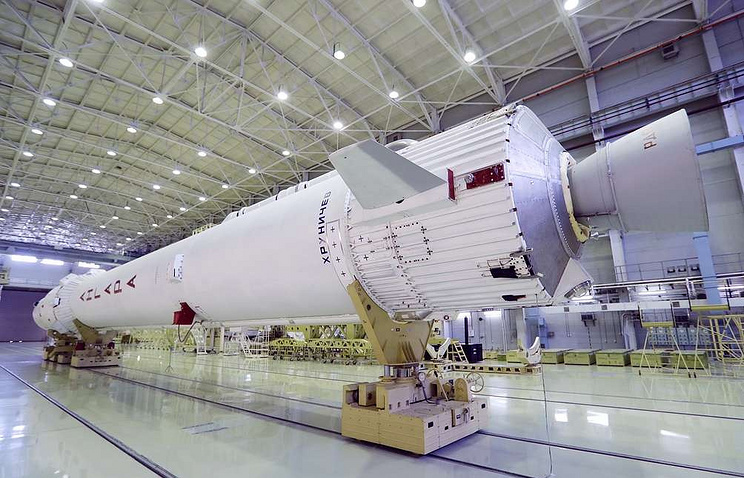 The production program envisages the manufacture of up to 44 universal rocket modules that will be assembled under their modular design either into the light Angara or heavy Angara rocket.